I use these software products. I couldn’t be without them! They may or may not suit you. It depends on what you write, what you sell, and how you like to work. All the material on my website is free, and the RedPen Newsletters too; but, ScrivenerVirgin / RedPen is also a business and my livelihood. So, for some of the stars mentioned on my site – not all – I am an affiliate. That means, if you purchase a product having clicked a link through my site, I may earn a commission on any sales that follow. You pay no more than you normally would! And, you help me to offset the costs in providing my free webinars, etc. I only share links – and direct you to them – if I believe these guys can really deliver. They do, for me, and I hope they will for you. I use SCRIVENER – rather than Word – for all my writing: novels, plays, blog posts, social media tips. I also use it for keeping track of my social media content, my marketing activity and a lot else besides. 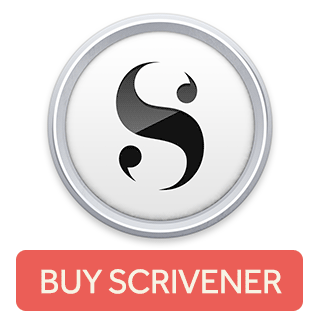 If you would like to know more about why I use Scrivener, register for a Simply Scrivener Special. 60 mins Q&A with me on all things Scrivener. If you need help in identifying where your text needs attention, think about investing in the ProWritingAid software. They also provide excellent FREE downloadable guides to writing and editing. I am an AutoCrit Ambassador. I receive weekly emails with links to useful articles on editing topics. Marketing software like Mailchimp is great for sending out regular newsletters. I use InfusionSoft because it offers additional features, allowing me to keep track of my contacts. I’ve invested in Leadpages software which allows me to set up pages and boxes to use in my marketing campaigns. Their Marketing Library has over 200 resources. Go check it out!